The Mango Dental office is a boutique, cosmetic dental practice conveniently located in the Irving Park area of Greensboro, NC with easy access from Wendover Avenue. We focus on offering advanced solutions with a minimally-invasive and artistic approach to complex dental problems. Our dentist office is outfitted with the most modern dental technology so that we can provide first-class, cosmetic dental procedures and service dental emergencies in-office without having to refer our patients to many specialists, thus saving our patients time and money. Both Dr. Mike Mango and Dr. Langdon have an exceptional amount of experience and education with advanced restorative and cosmetic procedures such as: tooth implants, veneers, dentures, “All-On-Four,” root canals, tooth extractions, crowns, bridges, adult invisible braces, laser gum contouring, laser dentistry, teeth whitening, and much more. We also offer basic general and family comprehensive oral care programs to our clients from ages 3 to over 100 years including: cleanings, sealants, fillings, digital x-rays, periodontal maintenance, oral cancer screenings, fluoride treatment for cavities and sensitive teeth, and teeth whitening. Be confident you are in the hands of a team of highly trained and skilled clinicians who are committed to lifelong learning. Our memberships in quality professional dental associations keeps us abreast of new techniques, the latest products, and the newest equipment that a modern dental office can use to provide state-of-the-art dental care. All to deliver you the best possible service and results. Our highly experienced team of dental assistants at Mango Dental like to build relationships with their patients, so you get a high level of attention to detail and personalized experience every time you visit! High standards and quality is everything here. From our comprehensive treatment plans to state-of-the-art restorative and cosmetic dentistry techniques, to a personal concern for your needs, we are devoted to your optimal dental health. We focus on providing the best customer experience possible, making you feel comfortable during every dental cleaning, exam or procedure. Our eco-friendly, fully computerized office implements digital information in all areas from patient records to digital x-rays, making us efficient, environmentally friendly. We also submit claims electronically, ensuring faster claims submissions. 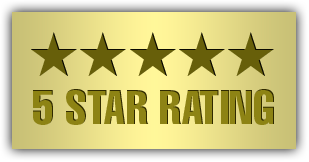 Dr. Mike Mango & Dr. Charles Langdon are honored to have received over 1000+ compliments of 5-star reviews from our patients. In addition, we receive many word-of-mouth referrals from our loyal dental patients. Come see why our patients return year after year… even decade after decade 336-275-4747. Contact us today to learn more about how we can service your dental needs!